(1) The authority to hear appeals against any appellate order passed by the registering authority under Chapter IV of the Act shall be the Transport Commissioner. (2) The authority to hear appeals against any order passed by any police officer or an Inspector of Motor Vehicles specified in Rule 52 shall be the registering authority having jurisdiction in the area. (3) The authority to hear appeals against an order in respect of certificate of fitness under Section 56 read with Rule 45 shall be the registering authority having jurisdiction in the area, in which the order was passed. (1) An appeal referred to in Rule 43 shall be preferred in duplicate in the form of a memorandum, setting forth concisely the grounds of objection to the order of the registering authority or Inspector of Motor Vehicles or the Police Officer, as the case may be, and shall be accompanied by fee of [One hundred and fifty]2 rupees in cash or stamp and a certified copy of that order. If the appeal succeeds, the Transport Commissioner Maharashtra State, or the registering authority concerned, as the case may be, may refund the fees in whole or in part, as he thinks fit. (2) The appellate authority, after giving an opportunity to the parties to be heard and after such further enquiry, if any, as it may deem necessary, may confirm, vary or set aside the order of the registering authority or the Inspector of Motor Vehicles or the Police Officer, as the case may be, and shall make on order accordingly. (3) Any person preferring an appeal under the provisions of Chapter IV of the Act shall be entitled to obtain a copy of any document filed with the registering authority in connection with any order against which he is preferring an appeal on the payment of a fee calculated at the rate of [fifteen]3 rupees for first page and [three]4 rupees for each additional page for each copy of document. (4) Subject to the provisions of sub-rule (3), the Transport Commissioner or the registering authority may give may person interested in appeal preferred under Chapter IV of the Act, copies of any document connected with the appeal, on payment of a fee calculated at the rate of ten rupees for the first page and two rupees for each additional page per copy of each document. (1) Certificate of fitness shall be issued or renewed by the officer of the Motor Vehicles Department not below the rank of an Inspector of Motor Vehicles or an authorised testing station, specified by State Government under sub- section (2) of Section 56 of the Act. (2) An application for issue or renewal of certificate of fitness shall be made in Form C.F.A. of the First Schedule to these rules to the Officer or the authorised testing station in whose jurisdiction the vehicle is normally kept. (3) The office of the Motor Vehicles Department or the authorised testing station by whom the certificate of fitness was last renewed may endorse thereon the date, time and place appointed for the next inspection of the vehicle and the owner shall cause the vehicle to be produced accordingly before the concerned authority or any authorised testing station located in the jurisdiction of the officer endorsing the certificate, as specified by the State Government. (4) If the owner finds that the vehicle cannot be produced for the next inspection on the date endorsed on the certificate of fitness, he shall apply to the officer of Motor Vehicles Department, not less than 15 days before the aforesaid date, for a change in the date of inspection, stating the reasons thereof. If the next date is given by the authorised testing station, the owner of the vehicle shall apply, for the change in the date of inspection stating the reasons, to an officer not below the rank of Assistant Regional Transport Officer, in whose jurisdiction the vehicles is normally kept and such Assistant Regional Transport Officer if satisfied, may specify the next date before which the vehicle should be produced for inspection before any authorised testing station in his area or jurisdiction or before him. (5) If no date, time and place for the next inspection is endorsed on the certificate of fitness as provided for in sub-rule (3) an application for the renewal of a certificate of fitness shall be made in Form C.F.R.A. of the First Schedule to these rules, not less than one month before the date of expiry of the certificate and the owner of a vehicle in respect of which such application is made shall cause the vehicle to be produced for inspection on such date and at such time and place as the Inspector of Motor Vehicles or authorised testing station may appoint. If the owner fails to make the application and produce the vehicle for inspection on or before the date aforesaid, he shall be liable to pay the full fee prescribed under clause (c) of Section 4 in addition to the usual fee chargeable for inspection, and on payment of such fee, a new certificate of fitness may be issued to him. (6) If, owning to mechanical break-down or other cause, a motor vehicle, after the expiry date of the certificate, remains outside the area in which the officer of the Motor Vehicles Department by whom the certificate is to be renewed has jurisdiction, the officer of the Motor Vehicles Department may, without prejudice to any penalty to which the owner or driver may have become liable, and if the vehicle in his opinion fit for use, make an endorsement in Form C.F. of the First Schedule subject to such condition as he may specify, and authorise its continued use for such time as may reasonably be necessary for the vehicle to return to the area of said officer and the vehicle may be driven to such area in accordance with such endorsement but shall not be used after return without renewal: Provided that, no authorised testing station situated out side the area of jurisdiction in which the owner should have obtained the certificate of fitness, shall issue such authorisation to any vehicle under this sub- rule. (7) If a vehicle is damaged at any time so as to be unfit for ordinary use and may, in the opinion of any Inspector of Motor Vehicles, be safely driven at a reduced speed to a place of repairs, and if such Inspector is satisfied that it is necessary that the vehicle should be so driven, he may endorse in Form C.F. of the First Schedule and specify the time, speed and other conditions if any, subject to which the vehicle may be driven to a specified destination for thepurposes of repairs. Provided further that, the above proviso shall not apply to the vehicles involved in an accident. (9) The authority mentioned in sub-rule (8) of this rule, cancelling the certificate of fitness shall give the owner or other person in charge of the vehicle, a notice in Form C.F.C. of the First Schedule to these rules, and shall along with a report of his action forward the certificate of fitness, certificate of registration and permit, if any, to the registering authority under whose direction and control he may be: Provided that, if the certificate of fitness issued by the authorised testing station is to be cancelled, an officer not below the rank of Assistant Regional Transport Officer shall send a copy of this notice to the authorised testing station by whom the certificate of fitness was issued. After the authority has cancelled the certificate of fitness, such authority after making an endorsement of fitness, such authority after making an endorsement in Form C.F.X. of the First Schedule to these rules, specify the time and the conditions subject to which the vehicle may be driven to a specified destination for the purpose of repair. (10) Nothing in sub-rule (8) shall debar the owner or the person in charge of the vehicle, the certificate of fitness of which has been cancelled from applying at any time for the restoration of the certificate of fitness if the vehicle has been repaired in such a manner that the provisions of the Act and the rules made thereunder are complied with. If such a vehicle is inspected and passed within fourteen days of the date of cancellation of the certificate of fitness but before the date of expiry specified in such certificate, norestoration fee shall be charged. If, however, the vehicle is brought for inspection at any later time, fresh certificate of fitness shall be required: Provided that, notwithstanding anything contained in this rule, the renewal fee in such a case shall be in addition to the usual fee as prescribed by the Central Government chargeable for inspection. (11) While inspecting a motor vehicle, the authority or the authorised testing station shall fill in Form M.V. Ins. Of the First Schedule to these rules in duplicate, and shall, on completion of inspection deliver the original copy to the owner or his driver. (1) If a certificate of fitness is lost or destroyed, the owner of the vehicle shall forthwith report the matter to the authority by whom the certificate was issued or last renewed and shall apply for a duplicate certificate in Form C.R.L.D. of the First Schedule to these rules with a fee as prescribed by the Central Government by rules. (2) Upon receipt of intimation of the loss or destruction of a certificate of fitness, the authority shall furnish the owner with a duplicate copy of the duly stamped “Duplicate” in red ink. (3) Where a duplicate certificate of fitness has been issued upon representation, that a certificate of fitness has been lost and the original certificate of fitness is afterwards found or received by the holder, the holder shall immediately return the duplicate certificate of fitness to the registering authority or the authorised testing station. (4) Any other person finding a certificate of fitness shall deliver it to the rearest police station or nearest registering authority. The officer-in-charge of the police station, on receipt of the certificate of fitness shall immediately forward to the nearest registering authority. The registering authority shall restore the certificate of fitness to the holder of the certificate of fitness in case the duplicate certificate of fitness has not been issued and shall substitute it for the duplicate in case such a duplicate has already beenissued. (1) If at any time it appears to the registering authority or the authorised testing station that the certificate of fitness is so torn or defaced in any way as to cease to be reasonably legible, he may impound such certificate, and direct the owner to apply in Form C.R.L.D. of the First Schedule to these rule, for a duplicate certificate. (2) Upon receipt of an application under sub-rule (1) in Form C.R.L.D. of the First Schedule to these rules together with a fee of [fifty]5 rupees, the Inspector of Motor Vehicles or the Authorised Testing Station shall issue a duplicate certificate of fitness clearly stamped “Duplicate” in red ink. (1) An application for temporary registration shall be in Form C.R. Tern. A. Of the First Schedule to these rules. (2) A temporary certificate of registration shall be in Form C.R. Tem. of the First Schedule to these rules, and shall ordinarily be valid for a period notexceeding one month. (3) The authority granting a temporary certificate of registration shall in cases where the registration under Section 40 is proposed to be effected by another authority forward to the latter a copy of Form C.R. Tem. of the First Schedule. Provided that, the Transport Commissioner, Maharashtra State, shall not give such approval in writing to an officer of a manufacturer unless he is satisfied that the manufacturer, manufacturers a substantial number of motor vehicles, and the vehicle is proceeding immediately on registration to a place outside the region: Provided further that, the powers conferred by this sub-rule shall not be exercised in respect of any vehicle, which is a tractor-trailer combination of a rigid frame having more than two axles, and has dimensions exceeding those prescribed in these rules, or a vehicle the unladen weight of which exceeds the laden weight limits specified for the time being under Section 115. (5) The authority granting a temporary certificate of registration shall assign a temporary registration mark to the vehicle and the owner shall cause the said mark to be affixed to the front and rear of the vehicle in the manner prescribed by the Central Government. (7) In case of imported vehicles brought into the State, the owner of the motor vehicle shall apply in From C.R. Tem. A of the First Schedule to the nearest registering authority along with Bill of Entry. (8) Whenever there is an application for a temporary registration of a vehicle, it shall not be necessary to produce the vehicle before the registering authorities. (9) The records of the prescribed authority maintained for the purpose of issue of temporary certificates of registration marks, shall be open for inspection at all reasonable time, by any police officer not below the rank of Sub-Inspector and by any officer of the Motor Vehicles department not below the rank of Inspector. Provided that the total amount payable shall not exceed one hundredrupees. (1) Such foreign consular officers, or such international officers, or such international organisations or associations (being bodies which in the opinion of the State Government are engaged in the development of economic resources and production capacities of the country) and their officers as may be notified by a general or special order of the Government in respect of the Motor Vehicles belonging to them. (3) Any Government in respect of motor vehicles belonging to it shall be exempted from payment of registration fee payable under Chapter IV of the Act. (1) When a duplicate certificate of registration has been issued upon representation that a certificate of registration has been lost and the original certificate of registration is afterwards found or received by the holder, the holder shall immediately return the duplicate certificate of registration to theregistering authority. (2) Any other person finding a certificate of registration shall deliver it to the nearest police station or nearest registering authority. The Officer-in-charge of the police station on receipt of the certificate of registration shall immediately forward it to the nearest registering authority. The registering authority shall restore the certificate of registration to the holder of the certificate of registration or substitute it for the duplicate in case such a duplicate has already been issued. (3) If the registering authority who impounds such certificate is not the authority by whom the certificate was issued or the fresh registration mark was assigned, it shall intimate such action to the authority by whom the certificate was issued or the fresh registration make was assigned, as the case may be. (1) Any police officer not below the rank of an Inspector of Police or an Inspector of Motor Vehicles may suspend the registration of a motor vehicle under clause (b) of sub-section (1) of Section 53. (2) Any officer of the Motor Vehicles Department, not below the rank of an Assistant Inspector of Motor Vehicles, may stop any motor vehicle, the use of which in a public place, in his opinion, is likely to constitute danger to the public and examine such vehicle on a road, or subject to the consent of the owner of the premises, or any premises where the vehicle is kept for the time being. (1) Application for a new registration mark under sub-section (1) of Section 47 shall be in the form prescribed by the Central Government. (2) The registering authority shall, before assigning a registration mark under sub-section(1) of Section 47 or before entering the particulars of transfer of ownership of a motor vehicle in the certificate of registration, require the owner or, as the case may be, the transferee, to produce the motor vehicle before itself or before the Inspector of Motor Vehicles, in order that the registering authority may satisfy itself that the particulars of the vehicle recorded in the certificate of registration are correct and the vehicle complies with the provisions of these rules. (3) The owner of a motor vehicle, which is registered in one State and isbrought into or is for the time being kept in the State of Maharashtra, shall intimate to the registering authority in whose jurisdiction the vehicle is kept for use in Form F.T. of the First Schedule within seven days from the date of entry of the motor vehicle in the State. Provided that, the amount payable under this rule in lieu of [action under Section 177 of the Act]16, shall not exceed one hundred rupees. (5) The registering authority assigning a new registration mark to a motor vehicle, shall be in Form R.M.I. of the First Schedule appended to these rules, and shall intimate the registering authority which originally issued the certificate of registration, that a new registration mark has been assigned to the motor vehicle and call for the records of registration of vehicle or certified copies thereof. The registering authority shall simultaneously inform the owner and the other party, if any, to an agreement of hire- urchase, specified in the note appended to the certificate of registration of such new registration mark. (1) The Registration Mark to vehicles be assigned, shall be as per the notification issued by the Central Government under sub-section (6) of Section 41 of the Act. [(i) The Registering Authority shall not inter change the assignment of registration mark from one series decided by them to another:Provided that, the Transport Commissioner may give an order in writing for such registration marks on the recommendation of the Registering Authority after the payment of fees which is three times the fees prescribed in clause (iv) of this sub-rule. (ii) Unless a registration series of a particular class or category of vehicles is exhausted, no new registration series shall be started by the Registering Authority for the same class or category: Provided that, the Transport Commissioner may, give an order in writing to start a new series by assigning registration mark 0001, on the recommendation of the Registering Authority for which the applicant will have to pay the fee which is three times fees mentioned in clause (iv) of this sub-rule. The applicant, who desires to obtain the registration mark in this series will have to pay the fees at the rate of three times of that mentioned in clause (iv) till the exhaustion of the original series. Provided further that, the Registering Authority may allot unused registration mark mentioned in clause (iv) from the exhausted motor car registration series to the motor cars belongs to the Government, which have allowed by theGovernment to fit the red or amber light on the top of the vehicle and to the vehicles used by the Head of Departments, with the prior permission, from the Transport Commissioner in individual case, without payment of any fees. (v) The registration numbers once reserved shall not be transferable and shall be allotted strictly on the principle of First Come First Basis. (vi) The number reserved shall be allotted on production of a vehicle along with the application in Form 20 of the Central Motor Vehicle Rules, 1989. The reservation of the registration number shall be cancelled if the vehicle is not produced within 30 days from the date of reserving the registration number and the number so cancelled can be allotted to any other person by registering authority who makes an application along with the fees prescribed [under sub-rule (iv) of this rule]17. Nothing contained in Chapter IV of the Act, shall apply to road rollers, gradersand other vehicles designed and used solely for the construction, repair and cleaning of roads. A registering authority may, in his discretion supply copies of the particulars of any motor vehicle registered in the records maintained by him to any person who may apply for the same. (b) reduce the fee payable by any such departments, local authorities, associations or bodies of individuals to such extent as may be specified in the order. (1) The notice by the owner of a motor vehicle to the registering authority in accordance with sub-section (1) of Section 52 shall be in Form B.T.I. of the First Schedule to these rules. (2) The registering authority may, on receipt of such notice require the owner of a motor vehicle to produce the certificate of registration in respect of the vehicle before him or his nominee, within seven days from the date on which such requisition was made, for the purpose of the revision of the entries therein. (1) An officer-in-charge of the police station where the theft of a motor vehicle is reported by the owner or any other person in possession of the vehicle, shall, immediately after the registration of an offence send intimation to the State Transport Authority, Maharashtra State or the officer authorised by the State Transport Authority in Form M.V.T. of the First Schedule and send a copy thereof to the registering authority where the vehicle is registered. (2) If the police station mentioned in sub-rule (1) is located in the jurisdiction of the Commissioner of Police, Bombay, the Police Officer shall also simultaneously send one copy of intimation of Form M.V.T. to all other registering authorities located in Greater Bombay. (3) On receipt of this intimation under sub-rule (1), the Transport Commissioner, shall inform all the registering authorities the details of the stolen vehicle in Form M.V.T.R. of the First Schedule. (4) The Transport Commissioner shall also maintain a register of stolen vehicles in Form M.V.T. Reg. (T) of the First Schedule. (5) The registering authorities shall maintain the register of stolen vehicles in Form M.V.T. Reg. (R) on the basis of the intimation received from the Transport Commissioner or from the Police Officer, as the case may be. (6) If the vehicle reported to be stolen is recovered, the police station which has recovered the vehicle shall intimate the fact in Form M.V.T. to the State Transport Authority and the relevant registering authority. (7) Upon receipt of intimation under sub-rule (6), the Transport Commissioner and the registering authority shall take a note of such recovery in the register maintained in Forms prescribed under sub-rules (4) and (5). (1) The Registering Authorities shall maintain a State Register of motor vehicles in such Form prescribed by the Central Government. (2) This register may be either in bound book form or on computer disc or tape. (3) As soon as the vehicle is registered, the necessary entries shall be taken up or entered in the State Register of motor vehicles. (4) The State Register for motor vehicles shall be maintained according to the class of the vehicle that is to say, transport non-transport and also if the registration of all types of vehicles is in large number according to the detail classification of the vehicles that is, to say two wheeler, cars, goods carrier, tractors, etc. as decided by the registering authority. 1Rule 42 was substituted by G.N. of 8.1.2008, Sec. 4. 2Substituted by G.N.H.D. No. MVR 0298/1531/CR-91/TRA-2 dated 30.7.1999. 3Substituted by G.N.H.D. No. MVR 0298/1531/CR-91/TRA-2 dated 30.7.1999. 4Substituted by G.N.H.D. No. MVR 0298/1531/CR-91/TRA-2 dated 30.7.1999. 5Substituted by G.N.H.D. MVR 0298/1531/CR-91/TRA-2 dated 30.7.1999. 7Proviso was added by G.N.H.D. No. MVR 0189/CR-1043/TRA-2, dated 6.7.1991, M.G.G., Pt. IV-A Ex. 8Table was added by G.N. of 27.9.2007, Sec. 2(b). 9Substituted by G.N.H.D. No. MVR 0189/CR-1043/TRA dated 6.7.1991 M.G.G. Pt. IV-A Ex. 1991 p.
10This word was substituted by corrigendum No. MVR 0189/CR-1043/TRA-2, Dated 2.11.1992. (M.G.G., Pt. IV-A, p. 942. 12Rule 51-A was inserted by G.N. H.D. No. MVR 0110/06/CR-16/TRA- 2, dated 8.10.2010. 16For the words and figures “action under Section 117 of the Act”, these words were subs, by G.N. No. MVR 0189/CR-1043/TRA-2, dated 6th July, 1991 M.G.G., Pt. IV-A 1994 Ex. p. 405. 17These words were substituted for the words “under sub-rule (iii)” by G.N. of 12.12.2007. 18Sub-rule (3) was added by G.N. H.D. No. MVR 0408/872/CR-212/TRA-2, dated 13.9.2010. 19Rule ’54-A’ was added by G.N. No. MVA 0199/28/CR-2/TRA-2, dated 20.4.1999 M.G.G., Pt. IV-A p.
vehicles, a fee of rupees twenty” by G.N. of 10.3.2011. This entry was posted in Maharashtra Motor Vehicle Rules 1989, Motor Vehicles Act on May 18, 2015 by admin. (1) Where in an emergency it becomes difficult for the permit-holder to provide for a conductor for his stage carriage, or where a conductor on duty, for reason beyond his control, cannot perform his duties, the driver of a stagecarriage may for a period not exceeding one month, act as a conductor of a stage carriage without holding a conductor’s licence under sub-section (1) of Section 29. (c) he has not on previous occasions acted as a conductor without a licence for a total period exceeding one month. (1) An application for a conductor’s licence as required by sub-section (1) of Section 30 shall be made in Form L. Con. A of the First Schedule to these rules and shall be accompanied by a medical certificate from a Medical Practitioner authorised by the Transport Commissioner to issue such certificate, in Form M.C. Con. of the First Schedule to these rules and the fees provided under sub- section (5) of Section 30. (2) Upon the receipt of an application for a conductor’s licence, the licensing authority on making such enquiries as may reasonably be necessary to establish the identity of the applicant and on ascertaining that the applicant is not disqualified under Section 31 of the Act for holding or obtaining a conductor’s licence, may issue such licence in Form L. Con. of the First Schedule to these rules for a period of three years. Provided that, clause (iii) shall not apply to persons who have obtained conductor’s licence before the date of coming into force of the Maharashtra Motor Vehicles Rules, 1989. The holder of a conductor’s licence shall, except in the case of a temporary absence not involving a change of residence for a period exceeding three months, report any change of his temporary or permanent address as notified on the licence to the licensing authority by whom the licence was last renewed. (1) An application for the renewal of a conductor’s licence shall be made in Form L. Con. R. of the First Schedule to these rules and shall be accompanied by conductor’s licence, and the fees provided for in sub-section (5) of Section 30. (2) Upon receipt of an application for the renewal of a conductor’s licence, the licensing authority may, after making such enquiries as it may deem necessary, renew the licence. (3) A licensing authority renewing conductor’s licence shall intimate the fact of renewal in Form L. Con. RR. of the First Schedule to these rules to the licensing authority by whom the licence was issued. (1) The authority empowered under subsection (2) of Section 33 and under sub-section (4) of Section 34 to hear appeals against the order of the licensing authority shall, in Greater Bombay, be the Transport Commissioner and elsewhere, the District Magistrate of the district in which the aggrieved person ordinarily resides. (1) An appeal under Rule 32 shall be preferred in duplicate in the form of a memorandum, setting forth concisely the grounds of objection to the order of the licensing authority, and shall be accompanied by a fee of twenty rupees in cash and a certified copy of that order. (2) When an appeal is preferred, a notice shall be issued to the authority against whose order the appeal is preferred in such form as the appellate authority may direct. (3) The appellate authority may give to the parties copies of any document connected with the appeal, on payment of fee (calculated at the rate of [fifteen]2 rupees for the first page and [three]3 rupees for each additional page of each copy) of each document. (4) The appellate authority may, after giving an opportunity to the parties to be heard and after such further enquiry, if any, as it may deem necessary, pass such order as it thinks fit and an order passed by any such authority shall binding on the parties. (xxxi) shall not allow any explosives or dangerous or flammable substances to be carried in the bus as personal luggage or cargo; [Provided that he shall cause the personal luggage or cargo, suspected to be containing substances of dangerous or flammable nature or explosives, to be inspected under the supervision of the Officer or Stand-in-charge of Bus Station of the Maharashtra State Road Transport Corporation or any Police Officer in uniform or any officer of the Motor Vehicles Department not below the rank of Assistant Inspector of Motor Vehicles]5. (1) No person shall hold more than one conductor’s licence. (2) A conductor of a stage carriage shall, produce his conductor’s licence for inspection on demand by any Police Officer in uniform not below the rank of a Sub-Inspector, or any officer of Motor Vehicles Department not below the rank of Assistant Inspector of Motor Vehicles in uniform or any member of the State Transport Authority or a Regional Transport Authority, within his respective jurisdiction, provided that, if at the time his licence is demanded he isdisplaying the badge prescribed in Rule 40, it shall be sufficient compliance with this sub-rule if he produces the conductor’s licence within forty-eight hours at any police station which he specifies to the person making such demand. (1) The copies of photographs required for a conductor’s licence shall be of a size not more than fifty millimetres by sixty four millimetres. It shall be taken from front, and shall be in black and white colour on glazed paper. (2) The photograph of the holder when affixed to a conductor’s licence shall be sealed with the seal of the licensing authority in such a manner that part of the impression of the seal is upon the photograph and part on the margin. (3) If at any time it appears to a licensing authority that the photograph affixed to the conductor’s licence has ceased to be a clear likeness of the holder, the licensing authority may require the holder to surrender the conductor’s licence forthwith, and to furnish two clear copies of a recent photograph of himself and the holder shall, within such time as the licensing authority may specify, appear in person before the licensing authority and present the photograph accordingly. (4) Upon receipt of the copies of the photograph as provided in sub-rule (3), the licensing authority shall remove the old photograph from the conductor’s licence and seal thereto one copy of the new photograph and return the conductor’s licence to the applicant and shall, if he is not the licensing authority by whom the conductor’s licence was issued, forward the second copy of the photograph to the authority who issued the licence: Provided that, if the holder of the conductor’s licence so desires the licensing authority shall issue a duplicate conductor’s licence with a new photograph affixed thereto and shall destroy the original conductor’s licence. In such a case if the licensing authority is not the authority by whom the conductor’s licence was issued, he shall inform the original licensing authority. (5) If the holder fails to comply with any requisition made by the licensing authority under sub-rule (3), the conductor’s licence shall cease to be valid from the expiry of the said period. (6) Where a new photograph is affixed to a conductor’s licence, a note shall be made upon the date of affixture. (1) If at any time a conductor’s licence is lost by the holder or is destroyed, the holder shall forthwith intimate the facts in writing, in Form CLD of the First Schedule to the licensing authority in whose area he has his place of residence at the time. (2) Upon the receipt of intimation as aforesaid, the licensing authority shall, if he is not the authority by whom the conductor’s licence was issued, apply to that authority for particulars of the conductor’s licence and of any endorsements thereon and shall, after making such enquiries as he thinks fit, is satisfied that a duplicate may properly, be issued, issue a duplicate conductor’s licence and send intimation to the authority by whom the conductor’s licence was issued: Provided that, where subsequent to the issue of a duplicate licence it is found that there has been an endorsement by a Court since the date of the grant or last renewal of the licence, it shall be lawful for the licensing authority to call for the duplicate conductor’s licence and make the necessary endorsement thereon. (3) Where a photograph is required to be affixed to a duplicate conductor’s licence issued under the provisions of these rules, the holder of the conductor’s licence shall furnish the licensing authority with two clear copies of a recent photograph of himself one of which shall be affixed to the duplicate conductor’s licence and the other shall be transmitted by the authority issuing the duplicate conductor’s licence to the authority by whom the conductor’s licence was issued. (5) Any other person finding a conductor’s licence shall deliver it to the nearest Police Station or the nearest licensing authority The Officer-in-charge of the Police Station, on receipt of the conductor’s licence, shall immediately forward it to the nearest licensing authority. The licensing authority shall restore the conductor’s licence to the holder of the conductor’s licence in case the duplicate conductor’s licence has not been issued, and shall substitute it for the duplicate in case such a duplicate has already been issued. (1) If at any time it appears to a licensing authority that a conductor’s licence held by any person is so torn or defaced in any way as to cease to be reasonably legible, the licensing authority may impound the conductor’s licence and issue a duplicate in accordance with Rule 39. (ii) if the photograph affixed to a conductor’s licence impounded under the provisions of sub-rule (1) is not in the opinion of the licensing authority such as can be transferred to the duplicate conductor’s licence the holder of the conductor’s licence shall, on demand by the licensing authority, furnish two clear copies of a recent photograph of himself one of which shall be affixed to the duplicate conductor’s licence and sealed and the other shall be recorded by the licensing authority by whom the conductor’s licence was issued. (1) When a duplicate conductor’s licence is issued under Rules 36, 37 and 38 it shall be clearly stamped “Duplicate” in red and shall be marked with the date of issue, he shall intimate the fact to that authority. (2) If the licensing authority who affixes a new photograph to a duplicate conductor’s licence is not the authority by whom the conductor’s licence was issued, he shall forward the second copy of the photograph to that authority for record. (3) The fee for a duplicate conductor’s licence under Rules 36, 37 and 38 shall be [One hundred and fifty Rupees]6. (1) The licensing authority issuing a conductor’s licence shall also issue simultaneously on payment of a fee of [one hundred and fifty rupees]7 a metal badge inscribed with its name, the word “Conductor” and an identification number, in the form illustrated in the Second Schedule appended to these rules. If the badge is lost or destroyed, a duplicate badge shall be issued on payment of twenty rupees by the authority which issued it or an application made to in Form D.C.B. of the First Schedule. In case the original badge is later found by the conductor, he shall return the duplicate badge to the issuing authority, and shall be entitled to a refund of ten rupees. (2) While on duty a conductor shall display his badge on his left chest and above the badge a plastic name plate indicating his initials and surname in Marathi. The plastic name plate shall be of the size of 9 cm. x 2 cm. (3) No conductor shall lend or transfer to any other person, or permit the use by any other person of the badge issued to him under sub-rule (1). (4) If at any time a conductor’s licence is suspended or revoked by an authority competent to suspend or revoke or by any Court or ceases to be valid by efflux of time, the conductor shall, within seven days, of suchsuspension, revocation or ceaser, surrender the badge to the authority by which it was issued. (1) The permit-holder of the stage carriage shall not employ a person as a conductor having a conductor’s licence issued by any licensing authority located outside the State of Maharashtra. (2) A person can act as a conductor having a conductor’s licence issued in any other State in respect of stage carriage operation in the State of Maharashtra on the routes included in the reciprocal Transport Agreement as well as on the routes mutually agreed by both the State Transport Undertaking, with the intention to include the same in the subsequent Reciprocal Transport Agreement but shall comply with the provisions of Rule 84. 1Rule 26 was substitute by G.N. of 8.1.2008, Sec. 3. 2Substituted by G.N. of 30th July, 1999. 3Substituted by G.N. of 30th July, 1999. 5Proviso shall be added by G.N.H.D. No. 0190/190/TRA-2, M.G.G., Pt. IV-A, dated 20.3.1991 p. 212. 6Substituted by G.N.H.D. No. MVR 0298/.1531/CR-91/TRA-2 dated 30.7.1999. 7Substituted by G.N. of 30.7.1999. (1) No person shall drive a pubic service vehicle unless an authorisation in the form prescribed by the Central Government has been granted. (2) Subject to the provisions of sub-rule (3), a holder of driving licence may at any time apply to the licensing authority [in Form L.P.S.A. of the First Schedule along with a certificate obtained from the Competent Authority in the Forms S.E.C. of the First Schedule]2 for the grant of the aforesaid authorisation and shall forward his driving licence with such application. (3) No authorisation to drive a medium passenger motor vehicle shall be granted, unless he has held a driving licence for at least one year to drive a light motor vehicle. No such authorisation to drive a heavy passenger motor vehicle shall be granted unless he has held a driving licence to drive a light motor vehicle for at least two years or a medium passenger motor vehicle for at lest one year. (4) The licensing authority to which application is made as aforesaid may if it thanks fit, in order to ascertain whether the applicant is fit person for being granted the authorisation, make enquiries into his character and antecedents and by notice in writing summon him to appear before it at such time and place as it may appoint. The fee shall be paid along with the said Form L.P.S.A. of the First Schedule to these rules and the same shall not be refunded in any circumstances. (5) If the licensing authority is satisfied that the applicant is in all respect fit to be authorised to drive a public service vehicle, the driving licence shall be signed accordingly. The licensing authority shall then return the driving licence to the applicant thereof and shall at the same time if the driving licence was issued by a different licensing authority, send an intimation to such licensing authority in Form L.P.S. of the First Schedule to theses rules. The licensingauthority shall refuse to grant the authorisation if it finds that the applicant is not a fit and proper person to be charged with the safe carriage of passengers and property under the provisions of any of these rules and the rule made by the Central Government. (6) Where a person holding an authorisation to drive a public service vehicle makes an application for its renewal, then he shall, if so required by the licensing authority, submit himself to medical examination to such registered medical practitioner as the State Government or the Transport Commissioner authorised by the State Government, specifies in this behalf and shall obtain certificate in the form prescribed by the Central Government from such notified medical practitioner on payment of a fee of twenty rupees and forward it to the licensing authority together with the driving licence. (7) If the licensing authority on considering the certificate received by him under sub-rule (6) is of opinion that the applicant is suffering from a disease which makes driving of a public service vehicle by him undesirable, it may refuse to renew the authorisation applied for. (8) If a licensing authority rejects an application under this rule, it shall inform the applicant in writing giving its reasons within one month and shall also return the driving licence to him. Upon the receipt of an application for a driving licence, the licensing authority may make such enquiries as may reasonably be necessary to establish the identity of the applicant and to ascertain that the applicant is not disqualified for holding or obtaining a driving licence. Sub-section (1) of Section 3 of the Act shall not apply to the driver of road-roller. Provided further that, where an applicant is a member of the Home Guards the test of competence to drive any motor vehicle, other than a transport vehicle, may be conducted by the Commandant-General of theHome Guards, or a Commandant of the Home Guards under whose control the applicant is serving if such Commandant, is with the previous approval of the State Government, authorised by name in this behalf by the Commandant-General aforesaid. (2) Subject to the provisions of sub-section (6) of Section 9, the applicant shall furnish a serviceable vehicle of the class to which the application refers, provided such a vehicle is equipped with breaking device which shall be easily accessible to the Testing Officer and present himself for the test at such time and place as may be specified by the Testing Officer concerned. (c) has been exempted by special or general order of the State Government. Provided that, the applicant, unless he shows sufficient reasons for not paying the said sum within a week, shall be liable to pass a fresh test of competence. (1) The Authority prescribed under sub-section (8) of Section 9 and sub-section (2) of Section 17 to hear appeals against any order made tinder any of the aforesaid provisions of [x x]4 shall be the Transport Commissioner. The appellate authority empowered under sub- ection (3) of Section 19 to hearappeals against any order made under sub-section (1) of Section 19 shall be the Transport Commissioner. (2) An appeal to any prescribed authority or appellate authority under this rule shall be made within thirty days of the receipt by him of the order appealed against. (1) An appeal referred to in Rule 8 shall be preferred in duplicate in the form of a memorandum, setting forth concisely the grounds of objection to the order of the licensing authority, and shall be accompanied by a fee of twenty-five rupees in cash and a certified copy of that order, against which appeal is preferred. (2) When an appeal is preferred, a notice shall be issued to the authority against whose order the appeal is preferred, in such from as the appellate authority may direct. (3) The appellate authority, may give the parties copies of any document concerned with the appeal on payment of a fee calculated at the rate of [fifteen rupees] for the first page and [three rupees]5 for each additional page of each copy of each document. (4) The appellate authority may, after giving an opportunity to the parties to be heard and after such further enquiry, if any, as it may deem necessary, pass such order as it thinks fit and an order passed by any such authority shall be final. (1) Where at any time it appears to a licensing authority that the photograph affixed to the driving licence has ceased to be a clear likeness of the holder, the licensing authority may require the holder to surrender the driving licence forthwith, and to furnish two clear copies of a recent photograph of himself, and the holder shall, within such time as the licensing authority specify, appear in person before the licensing authority and present the photographs accordingly. (2) Where the holder fails to comply with a requisition by the licensing authority under sub-rule (1), the driving licence shall cease to be valid on the expiry of the said period. (3) Upon receipt of the copies of the photograph as provided in sub-rule (1), the licensing authority shall remove the old photograph from the driving licence and affix and seal thereto one copy of the new photograph and return the driving licence to the applicant and shall, if he is not the licensing authority by whom the driving licence was issued, forward the second copy of the photograph to that authority: Provided that, if the holder of the driving licence so desires, the licensing authority shall issue a duplicate driving licence on payment of a fee of, [hundred]6 rupees with the new photograph affixed thereto and shall destroy the original driving licence. In such a case if the licensing authority is not the authority by whom the driving licence was issued he shall inform the original licensing authority. (4) When a new photograph is affixed to a driving licence a note shall be made upon the photograph of the date of affixture. (1) Where at any time a driving licence is lost by the holder or is destroyed or mutilated, the holder shall forthwith intimate the fact in writing in Form L.L.D. of the First Schedule to these rules to the licensing authority in whose area he has his place of residence at the time or in a letter setting out the particulars required by that Form. Provided that, where subsequent to the issue of a duplicate driving licence, it is found that there has been an endorsement by a Court since the date of the grant or last renewal of the licence, it shall be lawful for the licensing authority to call for the duplicate driving licence and make the necessary endorsements thereon. (3) When a duplicate driving licence is required to be issued under the provisions of these rules, the holder of the driving licenses shall furnish to the licensing authority, two clear copies of a recent photograph of himself, one of which shall be affixed to the duplicate driving license and the other shall be transmitted by the authority issuing the duplicate driving licence to the authority by whom the driving licence was issued, and intimated that fact to that authority. (4) Where a duplicate driving licence has been issued upon representation, that a driving licence has been lost, and the original driving licence is afterwards found or received by the holder, the holder shall immediately return the duplicate driving licence to the licensing authority. (5) Any other person finding a driving licence shall deliver it to the nearest Police Station or nearest licensing authority. The officer in charge of the Police Station on receipt of the driving licence, shall immediately forward it to the nearest licensing authority. The licensing authority shall restore the driving licence or substitute it for the duplicate in case such a duplicate has already been issued. (1) If at any time it appears to a licensing authority that a driving licence held by any person is so torn or defaced in any way as to cease to be reasonably legible, the licensing authority may impound the driving licence and issue a duplicate. (ii) where the photograph on the impounded driving licence is not in the opinion of the licensing authority such as can be transferred to the duplicate driving licence the holder of the driving licence, shall, on demand by the licensing authority, furnish two clear copies of a recent photograph of himself one of which shall be affixed to the duplicate driving licences and sealed and the other shall be retained by the licensing authority by whom the driving licence was issued. (1) Where a duplicate driving licence is issued under Rules, 10, 11, or 12, it shall be clearly stamped “Duplicate” in red and shall be marked with the date of issue of the duplicate and the seal of the licensing authority. (2) If the licensing authority who issues a duplicate licence is not the authority by whom the driving licence was issued, he shall intimate the fact to the authority concerned. (3) If the licensing authority who affixes a new photograph a duplicate driving licence is not the authority by whom the driving licence was issued, he shall forward the second copy of the photograph to that authority for record. (1) Where the holder of a driving licence has submitted the driving licence to a licensing authority or the authority which issued the licence for renewal or for obtaining an authorisation to drive a public service vehicle and has deposited the prescribed fee, or where a police officer or any Court or other competent authority has taken temporary possession of a driving licence for any purpose and the driving licence has not been suspended or cancelled, the licensing authority or the police officer or the Court, or as the case may be, or a person authorised under sub-section (2) of Section 206, shall give him a temporary acknowledgment for the driving licence and temporary authorisation to drive, in Form L. Tem, to these rules, the production thereof on demand shall be deemed to be production of the driving licence. (2) No fee shall be payable in respect of such temporary authorisation. (1) A licensing authority taking possession of a driving licence under clause (a) of sub- ection (2) of Section 19 Shall, if the licence was issued by another licensing authority, intimate the fact to that authority. (2) Where a licensing authority declares a person disqualified under sub-section (1) of Section 19, it shall cause the driving licence to be endorsed accordinglyand retain the badge, if issued, during the period of disqualification and shall send an intimation of such declaration to the authority by whom the driving licence was issued. (1) A licensing authority making addition in the classes of motor vehicle under Section 11 of the Act which, a driving licence authorises the holder to drive, shall if it is not the authority by whom the driving licence was issued, inform of such addition to that authority in Form L. Ad. to these rules. (2) A licensing authority renewing a driving licence shall, as required by the provision of sub-section (6) of Section 15 inform of such renewal to the licensing authority by whom the driving licence was issued in Form L.R. to these rules. (3) The Court making or causing to be made an endorsement on a driving licence under Section 24 shall send intimation in Form L.E. of the First Schedule to these rules to the licensing authority by whom the driving licence was issued and to the licensing authority by whom it was last renewed. (f) The Deccan Indian Automobile Association, Hyderabad Deccan. The holder of any driving licence shall, except in the case of temporary absence not involving a change of residence for a period exceeding three months, report within fourteen days any change of his temporary or permanent address as notified on the driving licence to the licensing authority by whom the driving licence was issued and to the licensing authority by whom it was last renewed. (b) for the issue of renewal of a driving licence to an ex-service person of Armed Forces holding a certificate of proficiency in driving a motor vehicle from an officer in the Armed Forces of the Union. (ix) while on duty, the driver shall display his badge on his left chest and above the badge a plastic name plate indicating his initial and surname in Marathi in white letters on black background. The plastic name plate shall be of the size of 9 cm. x 2 cm. (xix) shall, in case of accident of the vehicle, assist the passengers and should make arrangement of the injured passengers to the nearest hospital and also shall give immediate information or arrange to give information about the accident to the nearest hospital. (2) The driver of a contract carriage and in case of stage carriage in the absence of a conductor or where a conductor on duty for reasons beyond his control cannot perform his duties, shall, at the conclusion of any journey make reasonable search of the vehicle for anything left by any passenger and shall take into his custody anything found by him or by any other person in such vehicle and as soon as may be, make over the same to a responsible person at any office or station of the holder of the permit for the vehicle. (3) No driver of a stage carriage or contract carriage (other than a motor cab) shall cause or allow to enter into or to be placed or carried in the vehicle, any person whom he knows or has reason to believe to be suffering from any infectious or contagious disease or the corpse of any person whom he knows or has reason to believe to have been suffering from any such disease. (4) Notwithstanding the provisions of sub-rule (3), the driver may, upon application in writing by a registered medical practitioner allow a person suffering from an infectious or contagious disease to be carried in a stage carriage or contract carriage provided that no other person, save a person or persons in attendance on the person so suffering, shall be carried in the vehicle at the same time. (5) Where a person suffering from an infectious or contagious disease, or the corpse of any such person has been carried in a contract carriage or a stage carriage, the driver of the vehicle shall be responsible to report the fact of such carriage to the medical officer-in- harge of the nearest hospital, Zilla Parishad, Panchayat Samiti or Government Dispensary, and to the owner of the vehicle; and either the owner or the driver shall cause or allow any person to use the vehicle until the driver and the vehicle have been disinfected in such manner as the said medical officer may specify and a certificate to this effect has been obtained from the said medical officer. (1) The drivers of the first two motor cabs on any stand shall always stay near their cabs which shall be ready for immediate hiring by any person. (2) All drivers shall move their cabs up as vacancies occur in the stand. (3) Every cab shall be kept with front wheels straight at a distance of not less than thirty centimetres from the cab immediately in front of it and where the stand is by the side of a kerb, parallel to and not more than thirty centimetres from the kerb. (4) No driver shall allow his cab to remain on the stand if it is disabled unless the disablement is of a temporary nature which can be immediately remedied and is so remedied. (5) No driver shall allow his cab when it is not engaged to remain at any place other than a stand appointed for the purpose nor shall he loiter for the purpose of its being hired in any public place. (6) No driver sail prevent or attempt to prevent the first cab on the stand from being hired. (7) No driver whose cab has been engaged for some future time shall keep his cab on a stand unless he is willing to accept an intermediate engagement that may be offered. (8) A driver of a motor cab shall in the absence of reasonable cause to the contrary proceed to the destination named by the hirer by the shortest and quickest route. (9) No driver of a motor cab shall make use of his cab in connection with or for the furtherance of prostitution. (10) No driver of a motor cab shall carry a cleaner or other attendant unless permitted specifically to do so by the Regional Transport Authority on such conditions as may be specified by it. (11) No driver of a motor cab shall terminate the hiring thereof before he has been discharged by the hirer. (12) No driver of a motor cab shall demand or exact any fare in excess of that to which he is legally entitled. (13) No driver of a motor cab shall shout in order to attract a passenger. (14) A driver of a motor cab shall at all times exercise all reasonable care and diligence to maintain his vehicle in a fit and proper condition and shall not knowingly drive the vehicle when it or any brake, tyre or lamp thereof is in a defective condition likely to endanger any passenger or other person or when there is not sufficient fuel in the tank of the vehicle to enable him to reach the next fuel filing station on the route. (15) No driver of a motor cab shall solicit a customer except in a civil and quiet manner; nor shall he in any way interfere with any person boarding orpreparing to board another vehicle. (16) A driver of a motor cab shall not smoke while on duty. (17) A driver of a motor cab shall behave in a civil and orderly manner to passengers and others. (19) A driver of motor cab shall maintain the vehicle in a clean and sanitary condition. (20) No driver of a motor cab shall allow any person to be carried in any motor cab in excess of the seating capacity specified in the certificate of registration of the vehicle. (22) If at any time the authorisation of a driver’s driving licence entitling him to drive a motor cab is suspended or revoked by an authority or by any Court or cease to be valid by the efflux of time, the driver shall within seven days surrender the badge to the authority by which it was issued. (23) No driver of a motor cab shall cause or allow to enter into or to be placed or carried in the vehicle, any person whom he knows or has reason to believe to be suffering from any infectious or contagious disease, or the corpse of any person whom he knows or has reason to believe to have been suffering from any such disease. (24) Notwithstanding the provisions of sub-rule (23), the driver may upon application in writing by a registered medical practitioner allow a person suffering from an infectious or contagious disease to be carried in a motor cab, provided that no other person save a person or persons in attendance on the person so suffering shall be carried in the vehicle at the same time. (25) Where a person suffering from an infectious or contagious disease, or the corpse of any such person has been carried in a motor cab, the driver of the vehicle shall report the fact of such carriage to the medical officer-in-charge of the nearest Municipal, Zilla Parishad, Panchayat Samiti or Government dispensary and to the owner of the vehicle and neither the owner nor the driver shall cause or allow any person, to use the vehicle until the driver and the vehicle have been disinfected in such manner as the said medical officer may specify and a certificate to this effect has been obtained from the said medical officer. (26) No person shall drive any motor cab unless once in every two months, it is disinfected with D.D.T. or any other liquid insecticide, approved for the purpose by the Surgeon-General with the Government of Maharashtra. (27) The owner of a motor cab shall maintain and on demand by an officer of the Motor Vehicles Department of and above the rank of Assistant Inspector of Motor Vehicles or a Police Officer, produce for inspection a current register showing the dates on which the motor cab was disinfected from time to time,and shall also satisfy him that a mechanical spray which shall be used for the purpose of such disinfection is in working order. (28) A driver of a motor cab shall, on demand by any Police Officer in uniform or an Officer not below the rank of an Assistant Inspector of Motor Vehicles, produce his driving licence for inspection. (29) The driver of a motor cab shall at the conclusion of every journey make reasonable search in the vehicle for anything left by any passenger and shall take into his custody anything so found and shall as soon as may be convenient hand over the same to the Officer-in-charge of the nearest Police Station. (30) The driver of a motor cab shall not, without the approval of its owner permit any other person to drive the vehicle. (31) A driver of a motor cab shall, whenever the vehicle approaches an unguarded level crossing, cause it to be stopped and, after ensuring that no train is approaching in either direction, proceed to cross it. (a) The driver of every motor cab fitted with a taxi-meter shall not set it in motion before it is hired and shall stop it immediately the cab arrives at the destination. (d) no driver shall without reasonable excuse refuse to let the cab for hire when the flag is in a vertical position. (9) the driver of the goods vehicle on demand by any Police Officer not below the rank of Sub-Inspector of Police or any Officer of the Motor Vehicles Department of and above the rank of Assistant Inspector of Motor Vehicles shall produce all relevant documents of the vehicle for inspection. [(1) A metal badge shall be issued to every person who has been granted an authorisation to drive a public service vehicle except motor cab, subject to the condition that he satisfies the authority about his topographical knowledge of the area of operation and working knowledge of Marathi and any one of the languages commonly spoken there. The badge shall be in the form illustrated in the Second Schedule of these rules. The metal badge shall be circular in shape and shall contain the name of the head-quarter of the authority which has granted the authorisation, the category of the motor vehicle and an identification number, inscribed thereon. (3) The fee for the issue of a badge as aforesaid shall be ten rupees. If the badge is lost or destroyed a duplicate badge shall be issued by the authority by which it was issued on an application made in Form D.T.V.B. of the First Schedule to these rules accompanied by a fee of [One hundred]17 rupees. In case the original badge is later found, upon the return to the issuing authority of the duplicate badge, the driver shall be entitled to a refund of [Twenty five]18 rupees. (4) When an authorisation on a driver’s driving licence entitling him to drive a public service vehicle is suspended or revoked by an authority or by any Court or ceases to be valid due to efflux of time, the driver shall, within seven days ofsuch suspension or revocation, surrender the badge or badges held by him to the authority by whom 18 [the same were suspended]. (1) Every licensing authority shall maintain the State Register of Driving Licences in the Form prescribed by the Central Government. (2) The licensing authority as soon as the licence is issued or renewed to a person shall cause an entry to be made in the State Register. (3) The State Register shall be either a bound book or on a computer disc or tape. (4) The register shall be maintained in alphabetical order beginning with the surname. Provided that, if the driving licence is granted by any other authority or for any other class of motor vehicle, the licensing authority, adding the other class or description of motor vehicle shall make an entry of the name of that person with all classes of motor vehicles the person is entitled to drive. (6) The licensing authority shall maintain a separate register for the persons who are above sixteen years and below eighteen years and authorised to drive a vehicle without gear. 1Rule 3 was substituted by G.N. of 8.1.2008, Sec. 2. 2Substituted by G.N. of 31.11.1991, M.G.G., Pt. IVA, 1992, p. 45. 3Rule 5-A was inserted by G.N. of 18.10.2008. 4Omitted by MVA 0588/CC-570/TRA-2, dated 25.6.1989. 9Substituted by G.N.H.D. No. MVR-0190/CR- 75/TRA- 2, dated 16.2.1991. 10Rule 13-A was inserted by G.N.H.D. No. MVR 0110/06/CR-16/TRA- 2, dated 8.10.2010. 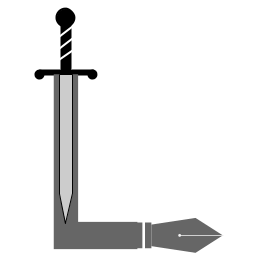 12Inserted by G.N.H.D. No. MVR 0190/190/TRA-2, M.G.G., Pt. IV-A, dated 20.3.1991, p. 212. 13Sub-rule (18) was substitute by G.N. of 11.12.2007, Sec. 2(i). 14Sub-rule (18-A) was inserted by G.N. of 11.12.2007, Sec. 2(ii). 15Sub-rule (21) was substitute by G.N. of 11.12.2007, Sec. 2(iii). 16Sub-rules (1) and (2) were substitute by G.N. of 11.12.2007, Sec. 3(i). 17 Substituted by G.N.H.D. No. MVR 0298/1531/CR-91/TRA-2, dated 30.7.1999. 18 Substituted by G.N.H.D. No. MVR 0298/1531/CR-91/TRA-2, dated 30.7.1999. (1) These rules may be called the Maharashtra Motor Vehicles Rules, 1989. (2) They shall, save as expressly provided otherwise, apply to, and in relation to all motor vehicles in the State of Maharashtra. (f) “Regional Transport Officer” means any officer appointed by the State Government for any area to perform the functions of a Regional Transport Officer under these rules and the rules framed by the Central Government and includes an Assistant Regional Transport Officer appointed by the State Government for such area as may be specified in that behalf. (j) “State” means the State of Maharashtra. (m) “Treasury Officer” means a Treasury Officer or Additional Treasury Officer appointed by the State Government to perform the functions of the Treasury Officer. (2) Words and expression used in these rules but not defined shall have the meaning respectively assigned to them in the Act. This entry was posted in Maharashtra Motor Vehicle Rules 1989 on May 18, 2015 by admin. 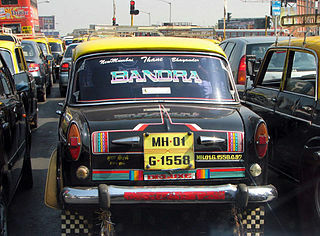 The Maharashtra Motor Vehicles Rules, 1989 specify certain rules for the conduct of Metered Taxis / Motor Cabs in Maharashtra. Not only do most cabs not follow the rules, but they don’t even know them. Below are the sections 21 and 22 from the Rules, which deal with motor cabs. 1 Sub-rule (18) was substitute by G.N. of 11.12.2007, Sec. 2(i). 2 Sub-rule (18-A) was inserted by G.N. of 11.12.2007, Sec. 2(ii). 3 Sub-rule (21) was substitute by G.N. of 11.12.2007, Sec. 2(iii). This entry was posted in Maharashtra Motor Vehicle Rules 1989, Motor Vehicles Act on May 5, 2015 by admin.